The luxury lifestyle brand returned total sales of 8,819 vehicles in the past 12 months – the second-best result in its history. Lexus finished the year strongly with 690 sales – its highest December sales since 2005, which is the only time Lexus has posted a better total in the 12th month. In 2018, local dealers increased sales of the brand’s SUVs by 13.5 per cent to a record of 6,327 vehicles with the all-new UX recently joining the established NX, RX and LX SUV Lines. The best performer for Lexus was the NX Line with sales growing 9.1 per cent to a record total of 3,697 vehicles. Sales of the RX Line – expanded early last year by the seven-seat “L” variants – grew 10.4 per cent to reach 2,051 vehicles – the model’s best result in five years. The flagship LX Line – elevated by the introduction of the diesel-powered LX 450d and the stunning LX 570 S – returned its best result in 15 years with sales surging 24.7 per cent to 404 vehicles. Lexus chief executive Scott Thompson said the sale of 175 UX SUVs late in the year heralded a new era for the brand. “The UX is a new gateway model with the design, technology and quality – accompanied by aggressive pricing – that will elevate our presence in the market and guarantee record Lexus sales in the coming year,” Mr Thompson said. 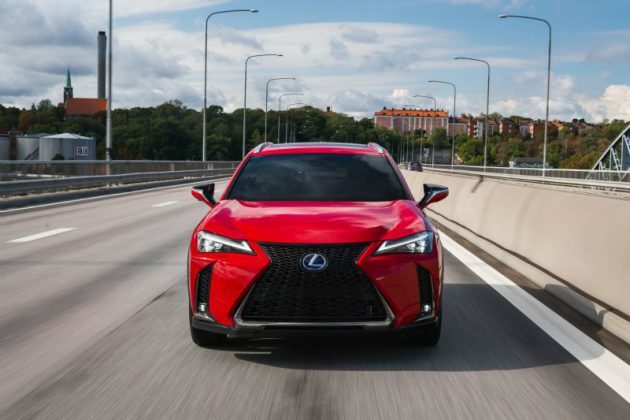 “There is no escaping the continued strong demand for luxury SUVs – and Lexus is extremely well placed with its four leading model lines that deliver customers the ultimate choice with multiple body styles, powertrain options and equipment grades. Mr Thompson said sales growth in 2019 would also benefit from the recent introduction of the updated Lexus RC coupe, as well as other introductions and special-edition models to be announced later.